And there's nothing quite like the love of Iya and Drew either. They are literally the living proof that network wars can and need to be defied. That more beauty, creativity, and rebelliousness can come out of a union this amazing. What a way to start the morning. Jason is at it again. My heart is skipping in so many beats. The prenup...the wedding. Oh that cliff hangin', heart thumpin' ceremony venue!!! 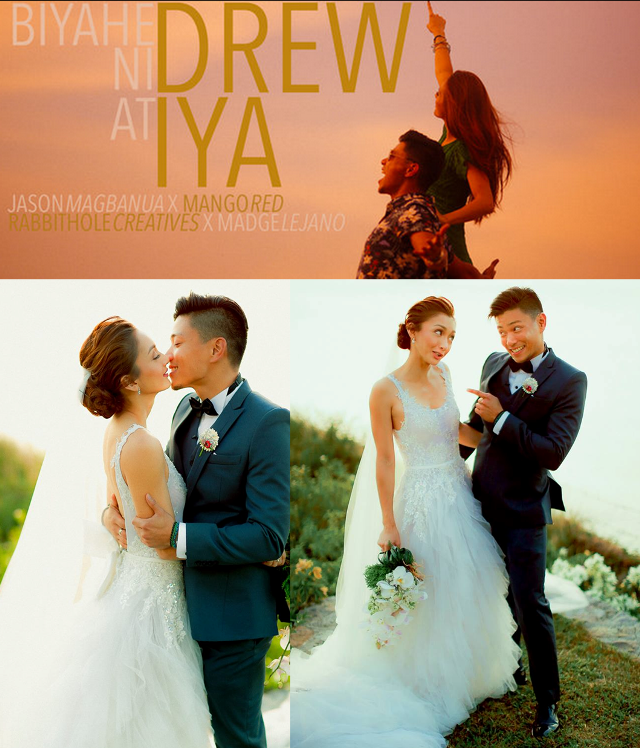 Iya Villania and Drew Arellano's Wedding from Jason Magbanua on Vimeo. Biyahe ni Drew at Iya from Jason Magbanua on Vimeo.